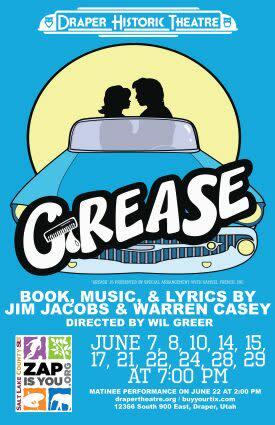 Grease is presented by special arrangement withSAMUEL FRENCH, INC.Book, Music, and Lyrics by Jim Jacobs and Warren CaseyDirected by William H. Greer & Heather A. HaycockMusic Director: Mackenzie Tolk HoumandSandy Dumbrowski, the new girl in town, and Danny Zuko, the school’s coolest greaser, have a secret summertime romance - but when they get back to school, everything is different. Sandy attempts to navigate the tricky Rydell High School social waters and catch Danny’s attention again, but Danny is chiefly concerned with maintaining his tough-guy reputation. In the end, the Pink Ladies help Sandy figure out how to win back the leader of the Burger Palace Boys.Grease is a 1971 musical by Jim Jacobs and Warren Casey. 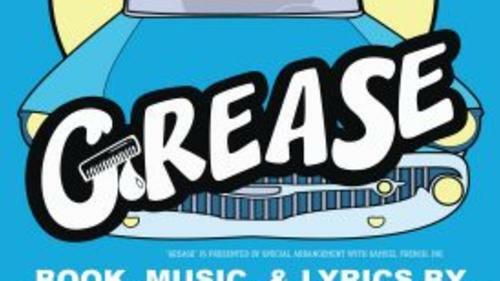 Named after the 1950s United States working-class youth subculture known as greasers, the musical is set in 1959 at fictional Rydell High School and follows ten working-class teenagers as they navigate the complexities of peer pressure, politics, personal core values, and love.The show mentions social issues such as teenage pregnancy, peer pressure and gang violence; its themes include love, friendship, teenage rebellion, sexual exploration during adolescence, and, to some extent, class consciousness/class conflict. Jacobs described the show's basic plot as a subversion of common tropes of 1950s cinema, since the female lead, who in many 1950s films transformed the alpha male into a more sensitive and sympathetic character, is instead drawn into the man's influence and transforms into his fantasy.